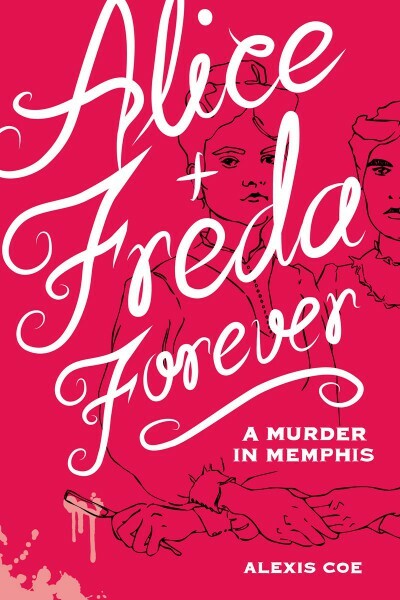 When I first heard about Alice + Freda Forever, I was immediately intrigued. A historical account of an illicit lesbian love affair that turned murderous? Sign me up! The book, which details the 1892 murder of 17-year-old Freda Ward by her 19-year-old fiancée Alice Mitchell, was a fascinating read that left me wanting to know more. The author, Alexis Coe, crafted an incredibly well-researched piece of literature. A historian and a University of California, Santa Barbara alum, Coe managed to bring this historical occurrence to life without resorting to spinning facts or dishonestly representing the women she features in this novel. With an appendix, bibliography, and more than a dozen pages of notes, this book presents an incredibly detailed picture of the murder as well as the circumstances surrounding it. Coe’s exhaustive research shows in her work; although the story can feel a bit dry at times, the inclusion of primary sources, such as some of the letters exchanged between Alice and Freda, helps to bring the women’s vibrant romance to life. Readers of historical fiction may find that in comparison to fictionalized works, Alice + Freda Forever provides less character interiority than is satisfying, but that’s only because Coe tries to preserve the integrity of their respective stories. Despite the absence of fictionalized character drama, readers will find themselves drawn into the narrative by the quick pace of the writing and action, Alice Mitchell’s haunting anger at her circumstances, as well as the dark illustrations done by Sally Klann. After the elaborate set-up of the murder, the book dives into the aftermath of the crime, pulling the eager reading along for the ride. Especially interesting is Coe’s apt analysis of the influence that local newspapers had on people’s perception of the crime. Coe also lays out perceptions of gender, sexuality, and race at the time of the murder and trial. Near the close of the book, she sums up the difficulty of dealing with a case revolving around a lesbian love affair with: “How does one speak of the existence of that which does not exist?” I found this historical context to be one of the most fascinating components of the story of this romance, which is inexorably tied to the limitations imposed upon it by the society these women lived in. Alice + Freda Forever provides a page-turning story and left me feeling like I’d learned something important about the struggles its characters face. Although it can be frustrating to read Alice + Freda Forever and see how challenging life was for these women, after reading this book, you’ll want to keep an eye out for any of Coe’s future projects. How did you first hear of Alice and Freda’s case, and what made you decide to investigate and write their story? I focused on early twentieth century political history in graduate school, but I still read around topics and took seminars on other time periods. We all make different choices with the material we research and write about—how many books do we have on Lincoln?—but the Mitchell-Ward case was competing with other cases, and easily lost or overshadowed in the name of intersectionality, or presented in an academic style of writing as a kind of conduit for bigger concepts. I wasn’t just a historian who stumbled upon a provocative, forgotten piece of history. Alice and Freda became people I cared about, and I was upset over the injustice both faced. Obviously Alice committed an unconscionable crime, but both of the young women died when they were so young, and had so little control over their lives and their legacy. By not telling their story, I almost felt complicit in silencing them. How did you balance the desire to give these women a voice and the necessity to maintain a historically accurate narrative? From my perspective, it was quite easy. The desire to give Alice and Freda a voice was never hampered by my dedication to a historically accurate narrative. I think my undergraduate and graduate school training in history departments ensured I prioritized one over the other, while certainly allowing context and interpretations to fill in the blanks. Now, I wasn’t the only one casting an eye on the manuscript. The editor certainly wanted me to go much further. An author has to choose her battles, and historical accuracy and, frankly, collective memory, was one I took very seriously—along with the cover! Don’t get me wrong: editors are essential. So are second readers. A writer can quickly tell which recommendations are well thought out, both in suggestion and with regard to the integrity of the discipline and work, as well as a basic understanding of history and narrative structure. The other stuff needs to be considered and discussed, and that’s not the easiest thing to do as a first time author—especially one like me, who really does love feedback. Luckily, I enlisted four brilliant second readers, all friends and trusted writers, historians, and editors in their own right. I am eternally grateful for the contributions of Mary Klann, Daniel Jacobson, Emily Clement, and Avi Steinberg. Do you have any advice for college students looking to begin a career in writing? I do, but I’m afraid it is deceptively simple: write. Do it often, and ask for feedback. I would also say that dedication asks you whether or not this is the right job for you, not only in lifestyle, but by cultivating the determination one must have to survive. Can you see rejection as beneficial, and criticism as necessary? On a more practical note, you don’t have to move to New York, but I would consider spending a summer there. Internships are the best way to learn, and develop contacts you’ll need when you move back to the best coast. I’d recommend publishing houses, newspapers, literary journals, etc. 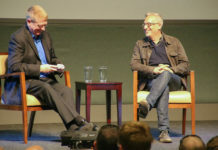 Pacific Standard: The Science of Society didn’t exist when I lived in Santa Barbara, but if it did, I assure you I would have been there, ASAP. On that note, I always wished I’d written for campus publications where I could get into the repetition of writing. That being said, I took the only creative writing class offered at UCSB at the time, one that had a rare application process, and it was the worst class I ever took. The professor was a bit bitter about the writing game himself, and the small gathering of students weren’t basing their criticisms on the work itself. It took me, and a couple of others I know, years to recover. As a UCSB alum, how would you say your undergraduate education influenced your career? In the acknowledgements to Alice + Freda Forever, I thank UCSB’s honors program, where I had the opportunity to take one-on-one tutorials with professors in the History Department, including Nancy Gallagher and, most often, Francis Dutra. Prof. Dutra made a historian out of me. I also majored in English, and I’m indebted to the late Richard Helgerson, as well as Enda Duffy and Mark Maslin. All three provided criticism and encouragement, and above all, pushed me and supported my rather lofty goals. Good work was always recognized and rewarded. Nothing was impossible. Everything was an opportunity.